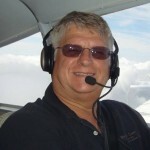 I'd like to give you a heads up about a recent non-fatal Lancair accident that may have lessons for us all. This is about a main landing gear failure at Addison, Texas, resulting in a runway excursion and major damage to the turbine-powered IV-P. 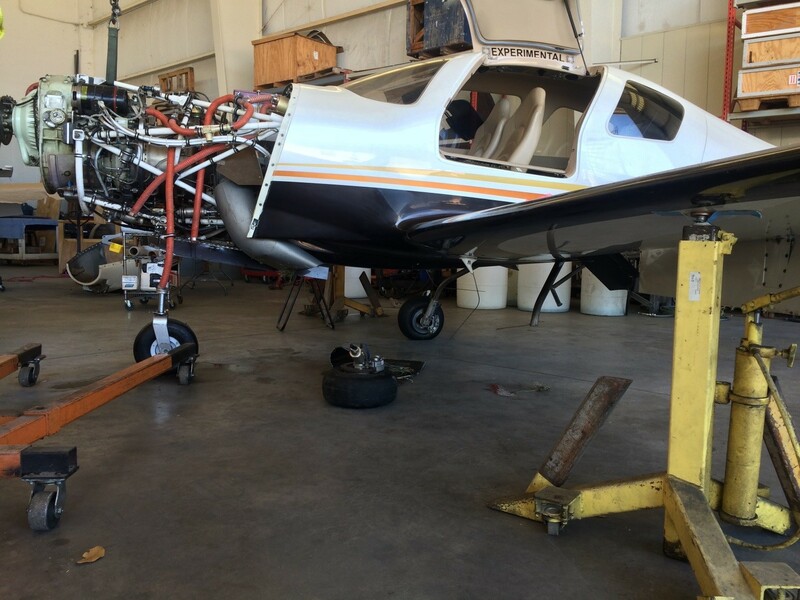 In April, a high-time Lancair pilot experienced a gear collapse on landing at Addison Airport in Dallas, TX. The aircraft departed the runway into the infield between the runway and taxiway following what the pilot initially believed was a nose gear collapse during a cross-wind landing. The pilot reported that after the nose gear collapsed the left main landing gear leg failed during the runway departure. The pilot was not injured, but the airplane slid sideways and backward as it spun off the runway, damaging the flaps, lower fuselage, engine and prop. Subsequent examination of the broken parts and a video recording of the landing indicate the initiating event for this accident was failure of the left main gear leg approximately 400 feet into the landing roll. The left wheel, axle and brake assembly departed the aircraft, and the airplane settled onto the left gear leg stub initiating an uncontrollable yaw to the left. The significant side load combined with runway departure collapsed the nose gear, allowing the prop to strike the ground and the running engine to fill with dirt. The above picture (click for larger) shows the extended left MLG leg and separated wheel/axle assembly. Both main landing gear legs remained extended during this event. The nose gear collapsed during the runway excursion, but extended normally via the gas strut when the airplane was lifted. 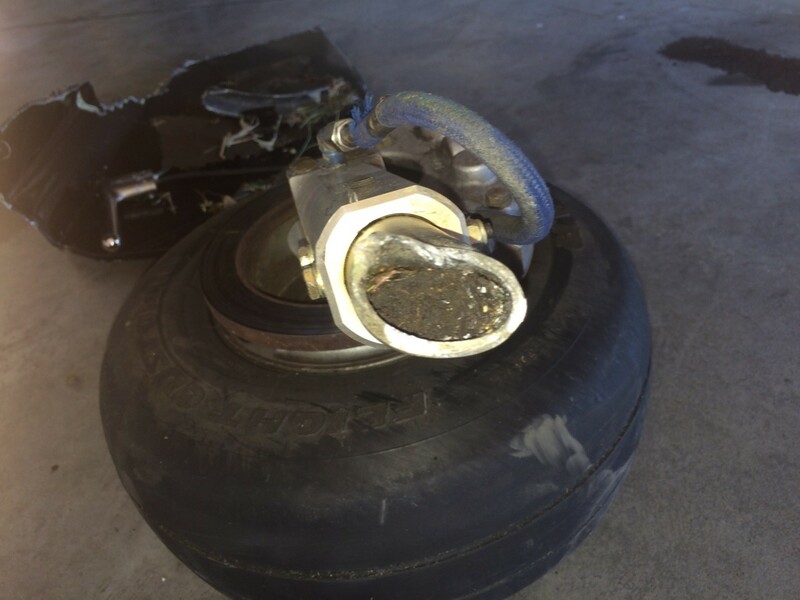 Luckily, the nose gear appeared to be minimally damaged. This picture (click for larger) is a close-up of the broken MLG leg. The steel tube gear leg appears to have failed as a result of long-term stress and/or metal fatigue, and not a hard landing. I say "appears" because a detailed lab analysis has not been completed. Nonetheless, a visual examination of the broken leg clearly indicates a long-existing crack through more than half the diameter (the upper left part of the picture), and freshly broken metal on the lower right. Such a crack would have been detectable with dye-penetrant or magnaflux, but it MAY also have been detectable by a hand "feel test" along the length of the leg. Note that this is my personal opinion, and is not supported by engineering analysis--yet. In fact, this is the first known failure of this specific type. The tubular steel gear leg itself is one of the strongest parts of the IV main landing gear assembly. 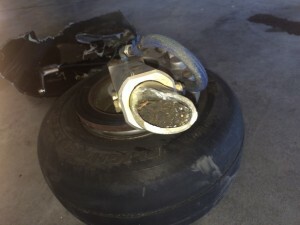 We've seen axle failures and many retraction mechanism failures from botched landings, runway excursions, and soft-field landings, but no strut failures before this one. This adds to my view that this failure was caused by a "pre-existing condition." Whether it would have been detectable with anything less than a tear down and lab analysis is purely speculative, but I carefully ran my hand along all parts of the MLG legs on my IV-P—just to be sure—after I saw this one. Additionally, I've added a "feel inspection" to my annual/condition inspection checklist. BTW, this checklist seems to get longer the more I fly my airplane, and the more I hear from Lancair owners about their various problems! Please keep these notes coming and I'll consolidate/publish them as I can. For comments/questions on this post contact Bob via email: r.pastusek [at] lancairowners.com.